For the last 20 years, the Dartmouth Institute for Health Policy and Clinical Practice—it’s added a few words to its name over time—has produced the “Dartmouth Atlas,” a compendium of information about the American health care system, principally culled from Medicare data. Some people are highly critical of the Atlas because it analyzes health care resource utilization (including hospital, ICU, SNF, physician visits, medications, procedures) in the last six months or the last two years of life—which requires starting with the time of death and looking backwards. The problem with this approach is that we don’t know in advance who’s going to die when, at least not with any degree of certainty. It’s easy to use the retrospectoscope and say that a patient shouldn’t have spent so much time in the ICU or gotten a feeding tube, given that he was going to die soon. But the intent of sending him to the ICU or putting in the tube was to enable him to live longer, or at least better, and it wasn’t so clear up front that the endeavor would fail. Much of what’s in this report covers familiar ground. It summarizes the data on the average number of days that older patients spend in the hospital in the last six months of life, it talks about where people die, and reviews how much, or rather how little, time they spend enrolled in hospice. But some of what’s here is new, or at least presented in a different way, and it’s enlightening. Because the focus of the new report is on the older patient’s experience of the health care system—which incidentally is what the book I’m writing is about—the authors have come up with a few ways of quantifying that experience. They define a new measure, the average number of “contact days,” by which they mean the total amount of time a person interacts in some way with American medical care, the number of days they have a doctor’s appointment, the number of days they go for a test or a procedure, and the number of days they are inpatients in a hospital or a skilled nursing facility. I’m not entirely satisfied with a measure that counts a day on which you have a doctor’s appointment or a test as a full day rather than attempting to add up the number of hours you actually spend going to the office, waiting, being seen, and coming home and translating that number into a fraction of a day, but it’s a good first step at measuring the intensity of exposure to the health care system. For what it’s worth, the average number of “contact days” in 2012 was 17, but in certain areas, such as Long Island, New York, it was 25. Other useful sections of the report address “areas needing improvement” and “areas where we have made progress.” The list of areas needing improvement starts with screening for prostate cancer in men over 75 (we shouldn’t be ordering PSA tests for this group but 20% of older men get them overall and 30% of men in Miami get them). Similarly, there’s screening for breast cancer in women over 75. That’s an area that’s more controversial since its utility depends on life expectancy and there are plenty of 75 year old women who will live another 10 or 15 years and thus may benefit from screening. Then there’s late referral to hospice: as many as 27.3% of the residents of Fort Lauderdale who die in hospice were enrolled in the last 3 days of life, way too late to reap much benefit. Next comes feeding tubes in patients with advanced dementia, a subject near and dear to my heart since I’ve written quite a bit about it. It’s still the case, or it was in 2012, that 6% of people who die with dementia got a feeding tube in the preceding 6 months—though this happens less than 2% of the time in Portland, Oregon and as much as 12.8% of the time in Los Angeles. Finally, there’s the old favorite, days spent in an ICU in the last 6 months of life. Interestingly, the situation here has gotten worse, if you assume that the time in spent in an ICU before death is very uncomfortable and not at all beneficial. How much time people spend in an ICU is also tremendously variable, ranging from 1 day to 9 days, with La Crosse, Wisconsin at the low end of the spectrum and Miami and LA at the upper end. And then there are the areas where we’ve made progress, according to the report. There is less use of high risk medications, there is more widespread monitoring of diabetics, there has been a decline in preventable hospital admissions, and there’s been a decrease, albeit slight, in readmissions to the hospital within 30 days of discharge. Finally, the opportunities for coordination of care and for advance care planning, which for some reason are lumped together, have increased. What’s missing from the report is a compelling explanation of why the things that have improved have gotten better and why those that haven’t improved are still problematic—and why there’s so much variability in what happens where. The authors argue that there are different factors at work: there’s less use of high risk medications because one of the bad actors (propoxyphene, or Darvon) was taken off the market; and there are fewer readmissions because there’s better discharge planning. But Darvon was taken off the market in all 50 states and the rate of use of so-called high risk medications varies between 10% and 30%, depending on geography. Why? The national average for readmissions fell (though not terribly dramatically) between 2008 and 2012, but why did it fall for some hospitals and not others? If we know how to prevent readmissions, at least some of them, why doesn’t everybody do it? I guess I still need to write that book. 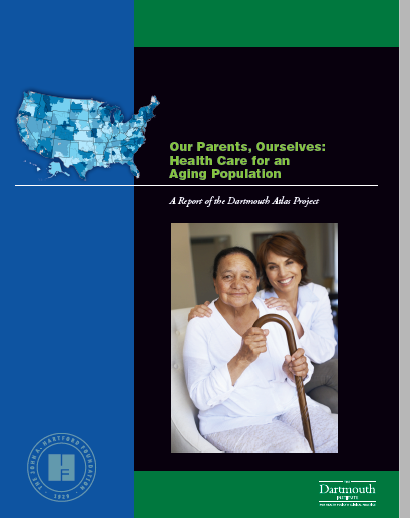 Not quite "Our Bodies, Ourselves," but the new report from the Dartmouth Atlas is all about the older person's experience of health care! See upcoming blog post. The Framingham Heart Study has been ongoing since 1948 and it continues to provide answers, or at least insights, into all kinds of important medical questions. 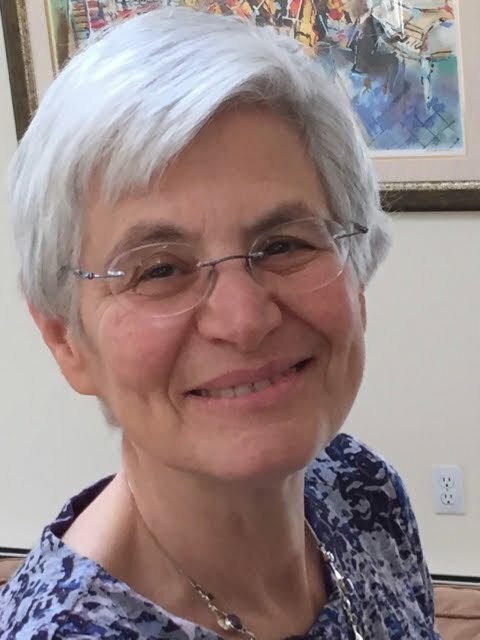 The latest news from Framingham is that the incidence of dementia, the rate at which new cases develop, has been declining over a period of 30 years, and that’s good news indeed. It’s not exactly news, as several other epidemiologicstudies have pointed in the same direction, but many of those studies were either methodologically flawed or, though suggestive, did not yield statistically significant results The Framingham Study has the great virtue of using consistent, standard diagnostic criteria for dementia; it has monitored the cognitive status of the people it’s been following since 1975 (with even more extensive monitoring beginning in 1981); and it makes use of a special “dementia review panel,” which includes a neurologist and neuropsychologist to evaluate the evidence in every case of possible dementia. Because the Framingham Study collects all sorts of other data as well, including blood pressure readings, cholesterol levels, body-mass index, and information about diabetes, heart disease, cigarette smoking, and education, the investigators are able to control for all these factors. The conclusion: since 1977, there has been a decline in the incidence of dementia averaging 20 percent per decade. But there are a few caveats. This study identified a total of 371 cases of dementia. That’s it. The 371 cases were scrupulously identified from among just over 5000 study participants, but it’s nonetheless a fairly small number of people. And if you look at the rate at which new cases of dementia were identified by “epoch,” you will see that the rate went from 3.6/100 in the first epoch to 2.8/100 in the second period, to 2.2/100 in the third period, to 2.0/100 in the final epoch. That is, the rate has fallen steadily but the most dramatic decline took place years ago. Things seem to be leveling off. And there’s another issue that’s worth dwelling on: if you separate out the cases of Alzheimer’s disease from the cases of vascular dementia, you find that the rate of new cases of vascular dementia has fallen significantly, but there has been no statistically significant fall in the rate at which Alzheimer’s disease develops. This is not entirely surprising as we have made enormous inroads in cutting the rate of heart disease, in large measure by controlling blood pressure, treating high cholesterol, and persuading people to stop smoking—or better yet, never start. Exactly the same risk factors affect the development of heart disease and vascular dementia: prevent one, and you’ll prevent the other. But we have made no progress at all in preventing Alzheimer’s disease, which is thought to be responsible for the majority of cases of dementia. The good news—and it really is good news—is that the progress in preventing heart disease has spilled over into the prevention of vascular dementia. The not-so-good news is that most dementia isn’t due to vascular disease. We should still vigorously combat vascular dementia, which after all causes some cases of dementia, and which also interacts with Alzheimer’s disease, in those unlucky people who are afflicted with both, to produce symptoms that are worse than would be expected from the combination of the two conditions. But there’s still a long way to go. What do Arkansas, Idaho, Maine, Minnesota, Tennessee, Washington, Missouri, Nevada, and Ohio have in common? No, they're not the states that hold primary elections on Super Tuesday (though several will). They're the states that have approved some kind of Mobile Integrated Health Care System, and as of December 31, Massachusetts joined the pack. 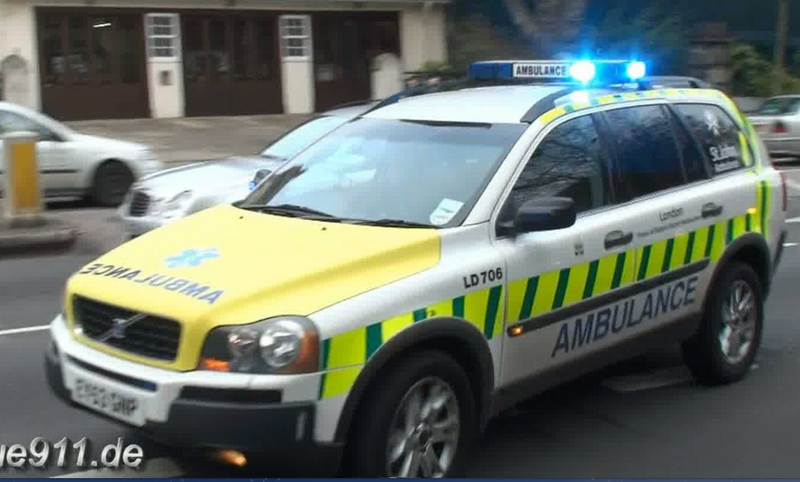 What this means is that ambulances can be dispatched to patients’ homes to do something quite different from what they usually do, which is to bring patients to the hospital. Their mission is to institute treatment that will keep patients out of the hospital. And that’s exactly what frail older people need. A few years ago, several of my colleagues and I were brainstorming about how our medical practice could improve care for our frailest, older patients. We lamented that most patients had to choose between staying at home with hospice care or going into the emergency room when they developed any kind of acute illness. Many of them felt hospice care was too little (it only addressed their symptoms but made no attempt to fix the underlying problem, even if it was something simple such as a urinary tract infection) and emergency room care was too much (when an 85-year-old with multiple medical problems and a fever shows up in the emergency department, a slew of tests and admission to the hospital are virtually guaranteed). The available in-between solutions weren’t good enough: a visiting nurse was rarely equipped to diagnose and treat, and urgent care centers were often inaccessible or unavailable. One nurse practitioner came up with a great idea: she proposed that we buy a van, outfit it with supplies ranging from a portable EKG machine to the apparatus for starting an iv and giving intravenous fluids, and organize a mobile acute-care-at-home service. But the organization felt the investment was too great and the benefits too uncertain. Mobile Integrated Health Care will do just what we envisaged, but with a twist: it will take advantage of paramedics’ training, of the fact that they routinely carry just the right kind of the equipment in their ambulances, and that many ambulance services have a fair amount of down time. The Massachusetts legislature passed a law authorizing the Department of Public Health to oversee such a service in November, 2015, effective December 31. An 18-member “Mobile Integrated Health Advisory Council” has already been appointed by the Commissioner of Public Health to carry out the mandate to create such a service. Ambulance companies, fire departments, emergency medicine physicians, home care companies, and others are all coming together to try to make this work. Two critical pieces that ought to get a lot of attention as the Council proceeds with its work are interactions with primary care physicians and advance care planning. Traditionally, it’s been emergency room doctors sitting in hospital emergency departments who give direction to paramedics in the field; for this new model to work well, primary care physicians should be the ones calling the shots. They will be providing the follow-up care, not the emergency room staff. And this system could dovetail beautifully with the Massachusetts Orders for Life-Sustaining Treatment (MOLST), a system already in place that allows patients to spell out the approach to care they want if they develop an acute illness. A completed MOLST form should be available to the paramedics to help them understand just what treatments the patient decided, well before the stress of the acute situation, were appropriate to consider. The idea of Mobile Integrated Health Care is terrific, but we need to look carefully at its outcomes. So far, existing systems have been described but not studied. We have a chance to design a promising program and then to actually figure out whether it’s working. What a novel idea indeed.